Do you ever feel like erasing certain memories from your mind? Like in the movie Eternal Sunshine of the Spotless Mind, Joel and Clementine do. People are often advised to let the tears flow when you’re hurt. But what if, you are so hurt that you are even unable to cry? ‘Coz memories are caged in your mind. Could you, perhaps, fall so deeply in love with someone that you need a drug to erase their memories? I have no idea about others but I would not want any memories erased, not even the ones that hurt. Remembering is what helps you avoid making the same mistakes. Remembering is what helps you grow as a person. Remembering is what lets you realise how much some people meant to you and how little you meant to them. Remembering helps you appreciate those who actually love you. And remembering, somehow, in some strange way, makes you happy. So no, never wish to erase, wipe or forget the slate clean. 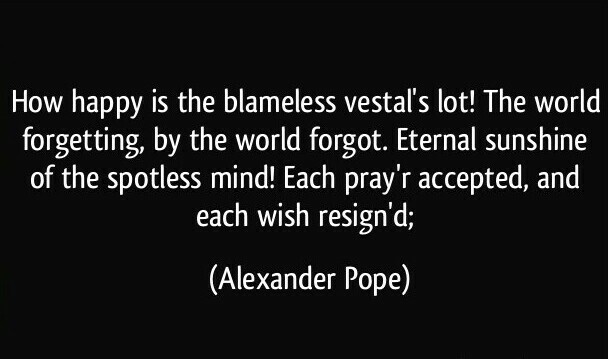 Categories: Words of wisdom | Tags: Alexander Pope, appreciation, erasing, eternal sunshine of the spotless mind, forgetting, happy, hope., Joel and Clementine, love, memories, poem, Poetry, realise, thoughts, yo te esparare | Permalink. 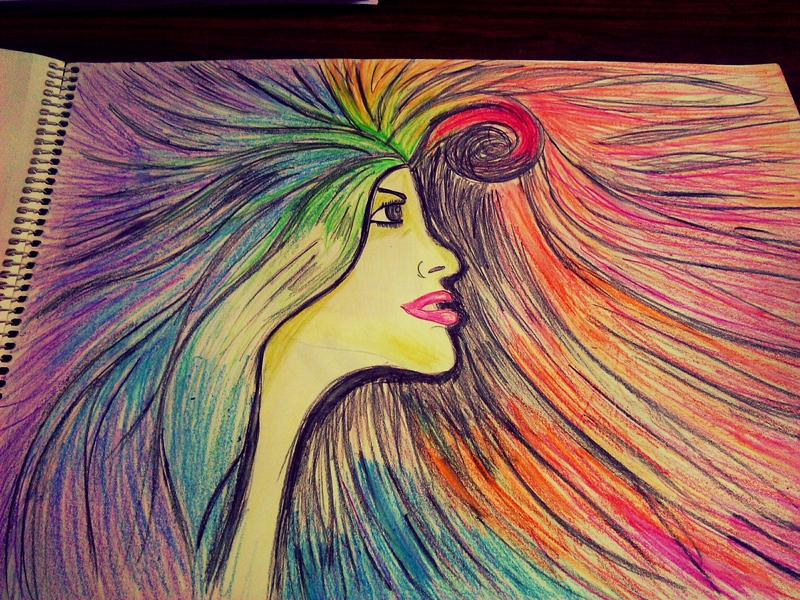 Categories: Art, Poesy | Tags: art, beauty, colors, colours, poems, Rainbow, thoughts | Permalink.